Comprehensive hardware and software support that includes round-the-clock monitoring and maintenance of your entire office network. Threat detection and remediation that ensure servers, PCs, and mobile devices remain free of spam, viruses, and ransomware at all times. 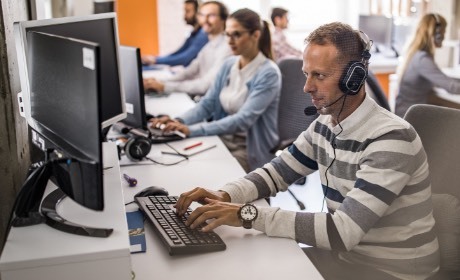 No more extended bouts of computer downtime when your employees have our technicians at their disposal, ready to repair PC issues 24/7. Your servers will run efficiently day and night, but if issues ever do arise they’ll be resolved immediately by our server repair experts. Computer issues can be so frustrating! We want all of our clients and their employees to understand our #1 core value: Be Helpful. We know how much of a positive impact we can have on your business when we are there for you when you need us most. A fantastic, positive attitude is required above all else to work at Network Titan. We Offer An Unheard Of 60-day Guarantee. We are so confident we are going to seriously impress you with our onboarding process and phenomenal support that we guarantee, in writing, that we will refund 100% of the money you paid us for service within the first 60 days of our engagement. None of our competition offers that. We SPECIALIZE In Working With Growing Companies Like Yours. That means we understand your incredibly hectic and stressful work schedule and WHY it’s critical to remove obstacles, frustrations and technical problems to keep you productive. We understand your desire to eliminate waste, extra steps, work-arounds and manual labor. We also have tech support available 24/7/365 since we know you don’t work the normal “9-5” day, and can help you maintain the freedom to work remote while making sure you meet compliance standards for data security and backups. We Support Both On-Premise And Cloud Solutions. Some IT firms won’t offer or recommend cheaper cloud solutions because THEY make less money. Our philosophy is – and always has been – to offer what’s BEST for the customer, not us. That’s how we keep so many customers long-term. Our job is to lay out your options, educate you on the pros and cons of each and guide you to the best solution for you. Network Titan has provided many benefits to our accounting firm. Their partnership has provided us with knowledge, reliability, professionalism, and immediate response when help is requested including weekends. They tailored their services to our firm needs and take care of any IT issues we have. You won’t regret choosing them. You can trust that their advice will be in your best interest. Firm Administrator at A. V. Arias & Co.
Network Titan is trustworthy, fair and always available. Their response time is incredible. When a problem arises and a computer is down they get the problem solved incredibly fast. Network Titan is always there for you when you need them and is looking to build a long-lasting relationship. Working with Network Titan is like having your own in-house, IT department but only better. Mike and his team are focused on providing outstanding customer service no matter the time or location. Simply put, they’re outstanding! Network Titan is incredibly responsive and technically sound. They consider your business to be their own. It’s hard to go wrong with Network Titan. They provide a responsive, cost-effective solution to all your IT needs. 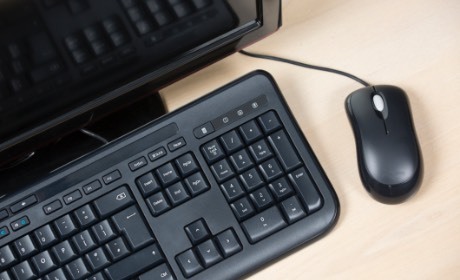 No problem, we understand you have a lot to consider before choosing an IT support provider. In the meantime, we’d like to offer a FREE, no-obligation performance and security assessment of your entire computer network to help you along. 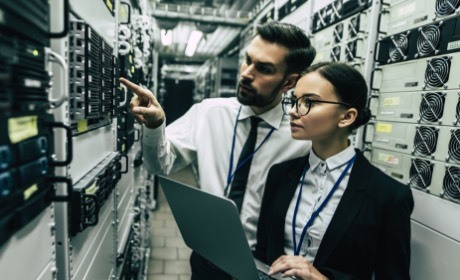 The assessment will allow you to see how a professional IT provider works and uncover any weaknesses in your network that could be holding your business back. 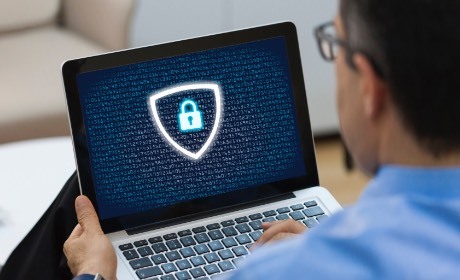 It will include close inspections of your servers and desktops, software apps and data storage, Internet and intranet connections, and of course your cybersecurity defenses. Upon completion, you’ll receive a report detailing our findings, and the best part is, it won’t cost you a dime and comes with absolutely no strings attached! Network Titan was founded in 2006 by Mike Hughes because he could no longer find purpose working at AT&T. Mike was a Senior Tier III Network Engineer. Rising into management at a company that size meant lots of meaningless paperwork and bureaucracy. Mike likes to help people, and demystifying technology for small businesses in San Diego seemed like a perfect fit. Network Titan was born. Referrals started to happen, and Network Titan began hiring. Our #1 core value is "be helpful". 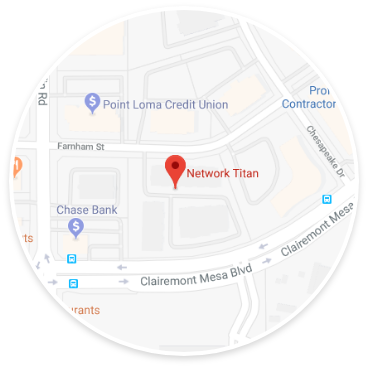 The team at Network Titan comes to work with a positive attitude and is ready to help you and your staff with all of your technical needs. Take the time to read our client testimonials and you will see what our clients love most is our dedication and high-touch service mind. That's being helpful. We're there when it matters most.